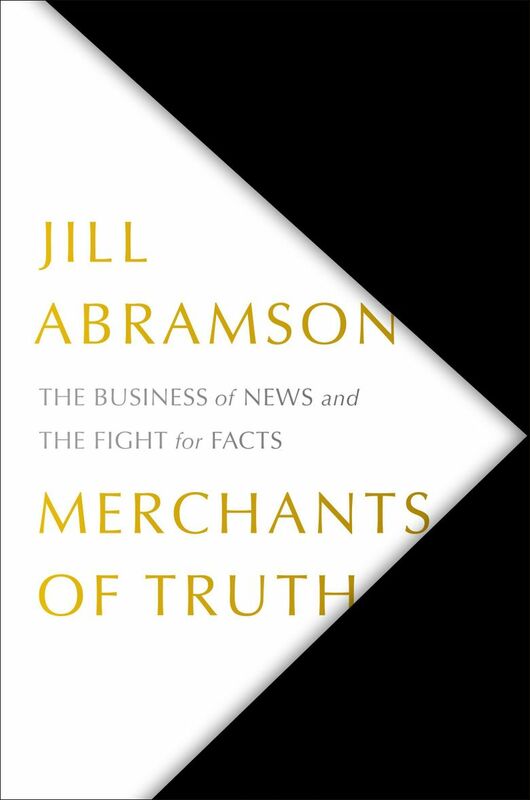 Former New York Times executive editor Jill Abramson's new book, "Merchants of Truth: The Business of News and the Fight for Facts," works hard to explain the disruption of the news media over the past decade, and the erosion of trust in the country. But sales have been dogged by accusations of plagiarism. 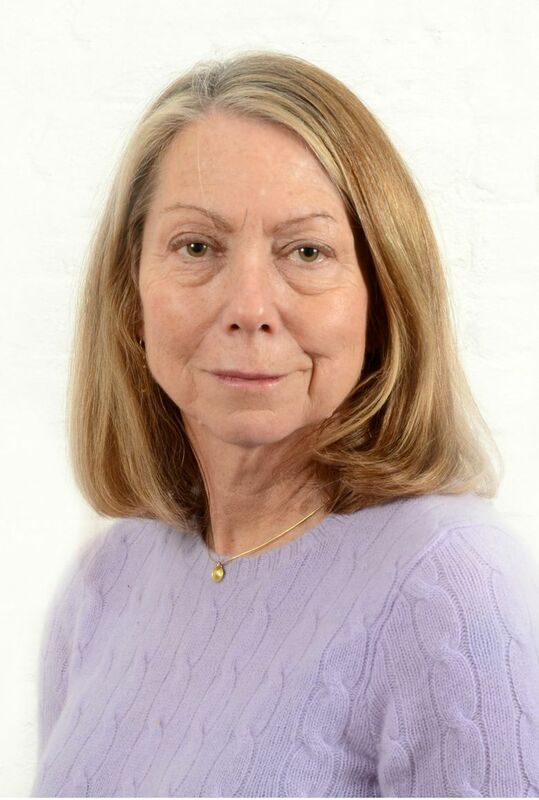 Every week in her class at Harvard University, Jill Abramson leads her students in a discussion of current events. The other week, it was Amazon founder and CEO Jeff Bezos’ claim that The National Enquirer was seeking to blackmail him with private photos and texts he sent to his mistress. Recently, though, the news was about Abramson herself. Her new book, “Merchants of Truth: The Business of News and the Fight for Facts” contains passages that appear to be lifted from other writers without credit. Plagiarism. And so, at a time when the former executive editor of The New York Times would prefer to be talking about how the news industry is fighting for survival against startups like BuzzFeed and Vice, she is instead apologizing and explaining herself, time and again, and to her own journalism students. Abramson has been accused of plagiarizing passages from The New Yorker, Columbia Journalism Review and Time Out Chicago. The passages were first identified and tweeted out by Michael C. Moynihan, a correspondent for “Vice News Tonight” on HBO. The most damning example involves the work of Jake Malooley. A section of his 2010 Time Out Chicago piece about Vice Media’s Jason Mojica appears in “Merchants of Truth” without attribution. In a piece for Rolling Stone, Malooley confronted Abramson, who started their conversation with an apology. When Abramson was given the final manuscript, the footnotes “were the last thing, really late in the game.” The passage of Malooley’s work appeared just above an attributed excerpt from The Washington Post. Abramson corrected her mistakes, noting that the book contained 835 footnotes, which came at the very end of the publishing process. It’s also worth noting, she said, that the unattributed passages appeared in uncorrected proofs that were sent out to media before final publication. She is aware that her stature in the news industry — and the subject of her book — make her mistakes all the more glaring. Abramson, 64, was speaking from Washington, D.C., where she was making several appearances to support the book. She will speak at 7 p.m. on Thursday, Feb. 28, at the University Temple United Methodist Church in an event sponsored by the University Book Store, the University of Washington Department of Communication and the Western Washington chapter of the Society for Professional Journalists. Tickets are $30 and include a copy of “Merchants of Truth” and entrance for two people. The plagiarism charges have dogged book sales. NPD BookScan, which tracks the print market, reported that “Merchants of Truth” sold just 2,800 copies through its first week of publication. The irony is that “Merchants of Truth” works hard to explain the disruption of the news media over the last decade, and the erosion of trust in the country — how it threatens the First Amendment, and how that could impact democracy. To do this, Abramson examined how two legacy media companies — The New York Times and The Washington Post — were struggling to straddle the worlds of traditional and digital journalism; and how two media upstarts, Vice Media and BuzzFeed, were disrupting the journalistic landscape, answering the needs and desires of a younger, fickle audience with a completely different set of standards. (This month, BuzzFeed laid off more than 220 of its workers; the remaining employees are planning to form a union. There has also been an increase in the number of Vice Media employees affiliating themselves with the Writers Guild of America, East, according to The New York Times). “But the studies show ‘no,’ ” Abramson said, “And that at least with Donald Trump and the people that voted for him, fact-checking seems to make them dig in and believe him all the more. “That’s the riddle right now, and it’s a giant and very concerning one: How do you get the truth out, and have people believe that it’s factual and true?” Moreover, how do you get people to pay for what it costs for newspapers and other media outlets to monitor what politicians and public officials are doing? Abramson was dismissed from The New York Times in 2014 after less than three years as executive editor — the first woman to hold that position. She had spent 17 years at the Gray Lady, and the final few years were spent in business meetings “about saving or generating money,” and clashes over her compensation and management style. The final straw, she writes, was the way she handled the hiring of a digital editor. She was replaced by Dean Baquet, who remains the executive editor. Abramson, who was also the Times’ first Washington, D.C., bureau chief and managing editor, misses working in a newsroom. The liveliness, the moment when a big story breaks “and the people who are fascinated with it surrounding me.” She misses the camaraderie, and the people in the newsroom who she had love and respect for. But she is still writing a biweekly column for The Guardian about U.S. politics and “practicing journalism,” she said. Even, she said, when the fact-checking has been focused on her. In her class, she said, she invited questions from her students.